Prevention and Control Categories:KISC EDRR Species. OISC Target Species. MISC Target Species. Fountain grass is a perennial, clumping grass that can grow in a variety of habitats, from bare lava, to rangeland, to urban roadsides in drier areas of the Hawaiian islands (<127 cm rain/yr). It can reach a height of 0.2-1 m (0.5-3 ft) with bristly, cylindrical shaped purple or rose-colored flower head (100-250 mm or 4-10 in long). Originally introduced as an ornamental plant, fountain grass has become an aggressive habitat-invader. It degrades the quality of pasture lands, particularly in drier areas. 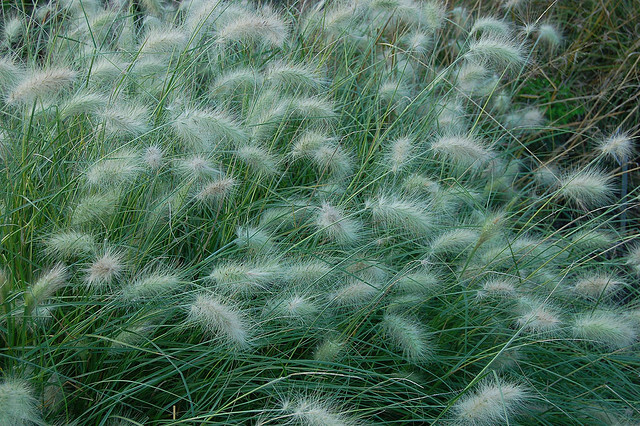 Fountain grass is also fire-adapted and can sustain fires that spread quickly into adjacent areas. Its dried leaves increase the intensity of wildfires. After a fire it sprouts faster than native plants. On Kauaʻi, there is only one known population in sub-optimal habitat above Hanapēpē. On Oʻahu, fountain grass is established and widespread in Lanikai and Diamond Head, and encroaching in on the Waiʻanae mountains. 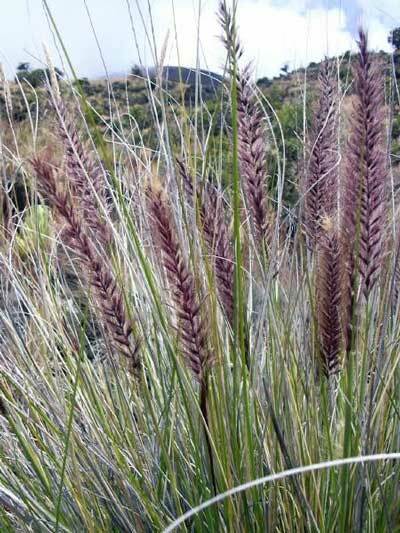 Lanaʻi and Kahoʻolawe have several limited populations of fountain grass, while Maui and Molokaʻi have eradicated any known populations. On Big Island, the site of the original widespread plantings, over 200,000 acres are infested on the Kona side of the island. Red fountain grass (Pennisetum macrostachyum): Red fountain grass has similar nodding, long seed heads to fountain grass, but can be differentiated by red or purple tinted foliage and seed heads. 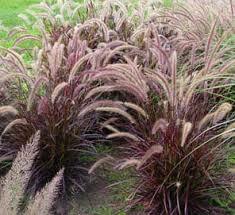 Red fountain grass also grows much taller (1.8-2.4 m or 6-8 ft). THIS PLANT IS ALSO A PEST! 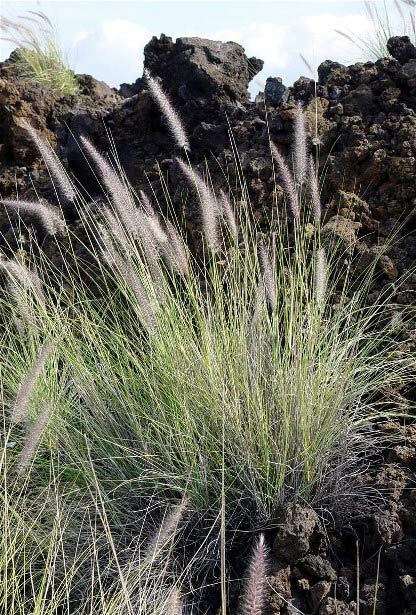 Feathertop grass (Pennisetum villosum): Feathertop is another perennial, clumping grass that is grown in gardens with a similar growth structure and leaves to fountain grass. Feathertop produces distinctive feathery seed heads that can grow up to 90 cm (35 in) in length. THIS PLANT IS ALSO A PEST!